No more file cabinets, bad handwriting and paper cuts! We provide a platform where you can create patient profiles and share information with your patients. 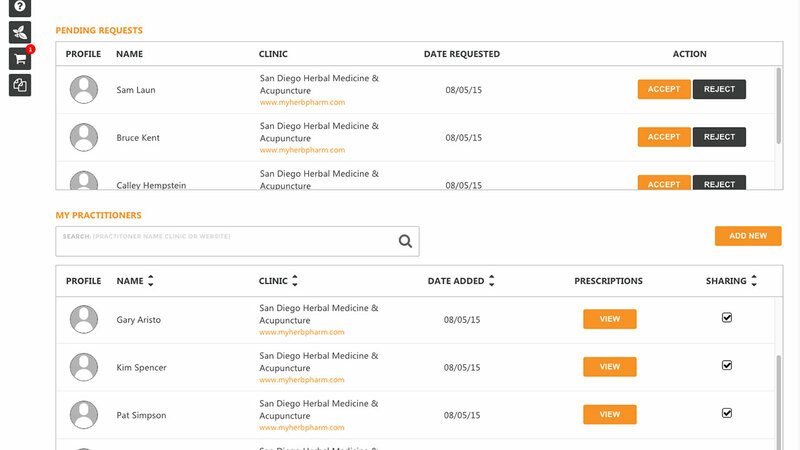 Find your patients, their order history, and notes about their formulas with just a few clicks. Your patients information and prescription history will be time and date stamped for charting purposes and easy retrieval. Never lose a formula, chart or patient information again. 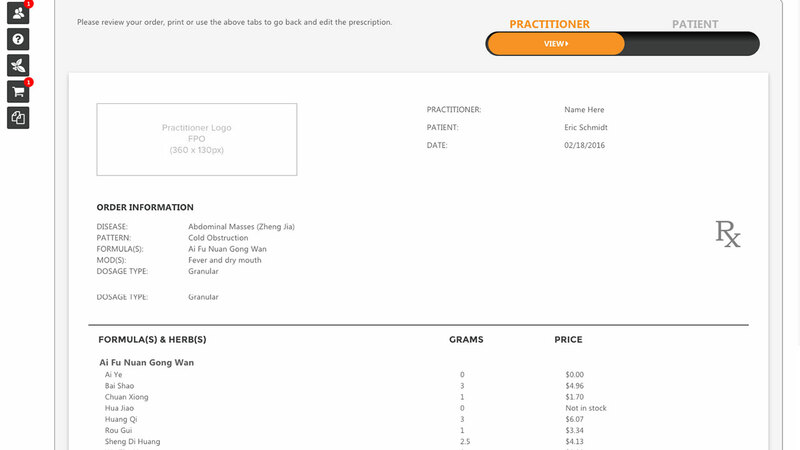 Track your orders live and see when your patients have picked up their orders and make notes on how they respond to your formulas for future use. Patients and Practitioners need access to each other’s information, specially new or updated information. Users can get instant access to each other’s information by using our information sharing platform. Users will be able to request access to each other’s information and will only have access once the receiving party has accepted their request. The information in your files will have notes and information that is sensitive and specific to your needs. We udnerstand tha practitioners have notes that they might not want to share with their patients. Using our “patient view” and “practitioner view” buttons, our software will generate documents that can hide or show sensitive information about patients. We make it easy to find your patients. Search by Name, Nickname, Email or Date. View your patients order history. 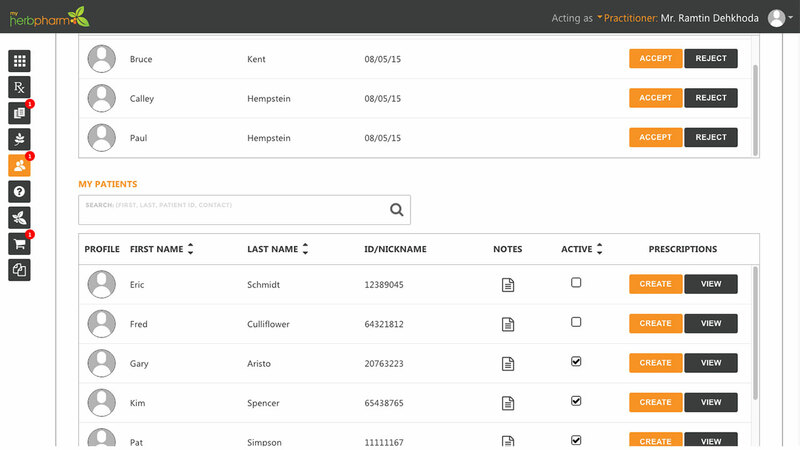 This function will allow you to keep track of the formulas and herbs your patient has been taking. You can track results, adverse reactions and make notes about each formula for future reference. This section wil also allow you to track prescriptions in real-time to ensure your patients have received their orders. 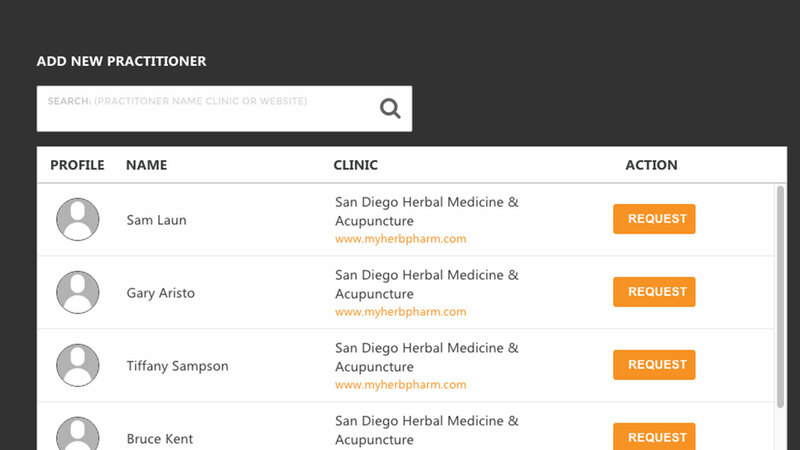 Use our site to find herbalists request appointments and manage your prescriptions. 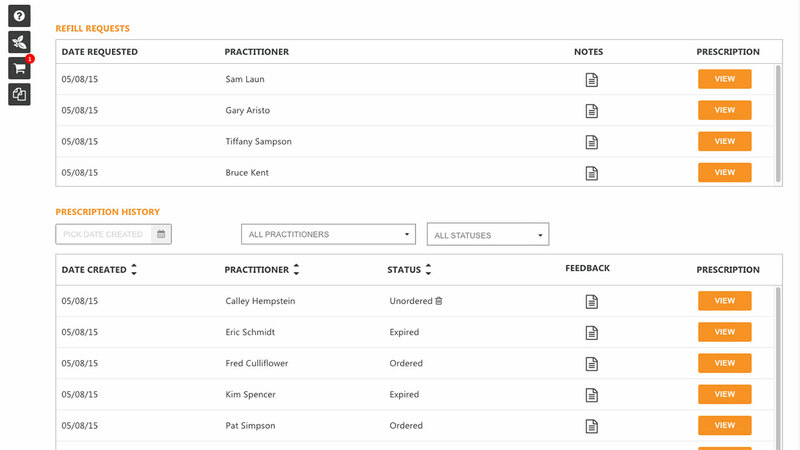 Users will be able to add and remove practitioners, share their information with practitioners and view their prescriptions written by practitioners.